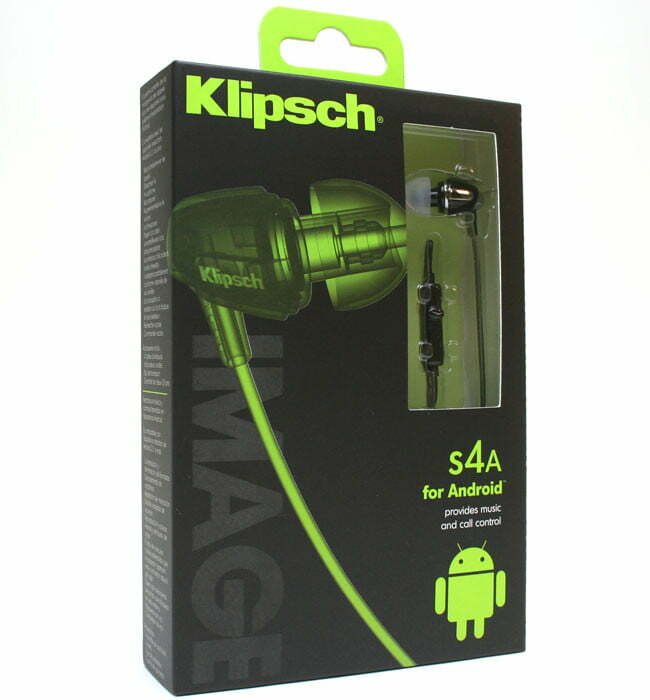 The Klipsch Image S4A is not only the first but, for the time being, also the only product to provide Android users with this kind of music player and phone control in an earphone. When the iPhone 4S was released, much chatter was had over how far ahead Android phones remained in the race to build the ultimate smartphone. While it is true that some ‘Droid devices have the upper hand when it comes to stuff like built-in turn-by-turn directions and larger screens, there’s one feature iPhone owners have enjoyed for years that Android OS still doesn’t natively support: Full-function in-line mic control. Heeding the lament of Android phone owners everywhere, Klipsch took the matter into its own hands and created the Image S4A earphones, an Android specific version of its already well-received Image S4 earphones. But, as we look a little closer, we see that the earphones themselves aren’t all that different, which is a good thing considering Klipsch ought not to mess with what is already a great-sounding earphone. Nope, the real development here isn’t the earphones at all; it’s the Android app that Klipsch developed to work with the earphones. In our Klipsch Image S4A review, we recapitulate what we like about the Image S4 sound, take a look at how these earphones differ from the S4 and S4i (iPhone version) and dig into the app Klipsch has developed. The Image S4A come in a box painted with “Android Green” and the iconic Android robot. Inside the box we found accessories similar to those included with the S4 and S4i-three differently sized eartips, a small zippered pouch and a clothing clip. A small card reminds us to download the Klipsch Control app to take full advantage of the headphones. Where the S4i feature a three-button control on its in-line microphone, the S4A has just one. Otherwise the earphones appear to be exactly the same as the other two S4 models in Klipsch’s Image line. The S4A have a rated frequency response of 10Hz-19kHz, a 118-ohm impedance and a 110db SPL/mW sensitivity. It’s been almost a year and a half since we last listened to the S4, so we thought we would re-visit these earphones’ sonic characteristics via the S4A. Plus, we’ve been listening to a lot of earphones in the $100 price range and approaching the S4A with some fresh perspective seemed like a good idea. In short, these earphones have not lost their charm. Their light weight and secure fit make them easy to wear for long periods of time. 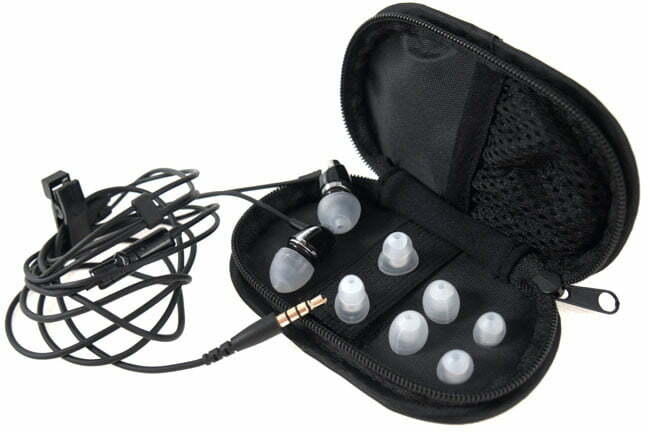 The excellent seal provided by the silicone eartips afford the S4A a good amount of passive noise isolation, which should prove useful to travelers and commuters. The S4A stay true to Klipsch’s legacy of producing highly sensitive audio products. We found that we had to back the volume dial off several notches on our iPhone, HTC MyTouch 4G Slide and HeadRoom micro amp. A fringe benefit of this sensitivity is that poorly powered phones (like the iPhone) won’t have to work quite as hard to drive the earphones to high volumes and, at lower volumes, we have to say that the S4A make the iPhone’s output sound significantly less sucky than we’re used to putting up with. Sonically, the S4A sound just as great as we remember them. Though we didn’t feel the S4A were as well balanced or quite as revealing as our reference NOCS S400, they do provide a totally exhilarating listening experience. Bass is solid and well pronounced, especially for such a tiny earphone. There’s also a generous amount of attack lent to drums and other percussive sounds that results in a nice pop that really brings the beat home. High frequency response was varied depending on the source material. If the treble on our test tracks was overly hot, the Image S4A brought that fact across in piercing fashion. Otherwise, the S4A brought out plenty of detail and eloquently danced around sibilant sounds produced by shimmering cymbals and hi-hats. Now, let’s get right down to what really makes this product different: The Klipsch Control app. First, remember that it is because of the Android operating system that a separate app is even necessary to provide music and phone call control. So, we’ve got to give the nod to Klipsch for getting an app developed and working to get it available to consumers. The basic features of the app include music pause and play, track advance, previous track, previous track x2, and volume adjust. You can also initiate voice search, voice command, redial, answer a call, mute the call and end the call. The app is also highly customizable. Click speed can be adjusted using a nifty calibration tool that bases the setting on the users triple-click speed. Default volume, minimum volume and maximum volume for both music and phone calls can be set to the user’s preference. There’s even an option for the app to activate automatically when earphones are inserted into the device. Along with all this great control come a few quirks. We aren’t big fans of the volume control, which requires a long single click that drops the volume to the preset minimum level before incrementally raising it. We also don’t like that pressing the control button to pause, play, change tracks or adjust volume pulls the user out of whatever app is being actively used, though we will grant that returning to the previous app on our MyTouch 4G Slide only required the “last’ button to be pressed once. As we played around with the Image S4A, we couldn’t help but wonder if Klipsch’s Control app for Android would work with other earphones that feature a single-button control. After all, the Image S4A work just fine on the iPhone as a single-button controller. It turns out that, yes, the Android app that Klipsch developed can be used to provide enhanced control for any single-button earphones, not just the Image S4A. We brought this up with Klipsch and asked the company if it had any plans to secure the app, perhaps requiring an activation key to unlock the app once downloaded. Klipsch admitted that it had considered that possibility but after due consideration decided not to. It turns out that Klipsch seems to feel pretty good about the fact that it is the first to make an app that provides this kind of control for Android device users and would just as soon get its name out there to a broader scope of people than exert an oppressive thumb down on those who just want to get more use out of their phone. Now that’s classy. Well played, Klipsch. While Swedish headphone maker JAYS has been saying for a little over a month that it has developed a similar app, it would seem the app is not currently available. Our visit to the JAYS website shows that the Android section is down for the count so we are not presently able to make a comparison of the two. 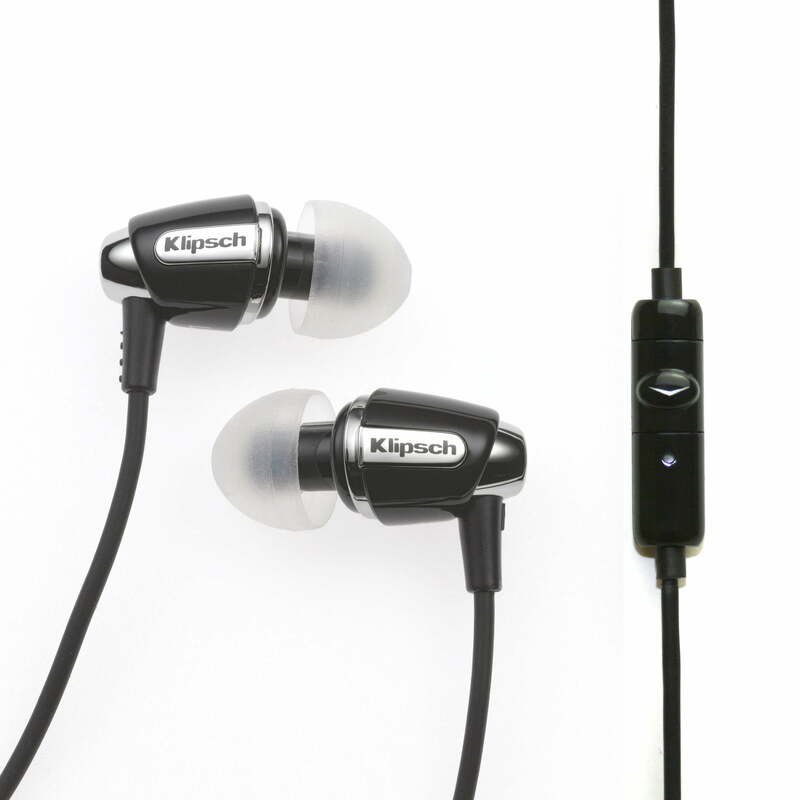 Klipsch is not only the first but, for the time being, also the only company to provide Android users with this kind of music player and phone control in an earphone product. That fact on its own merits the S4A a good score but add to it the fact that the Image S4A actually sound really good, and you’ve got a winning product on your hands. We gladly recommend the Klipsch Image S4A.